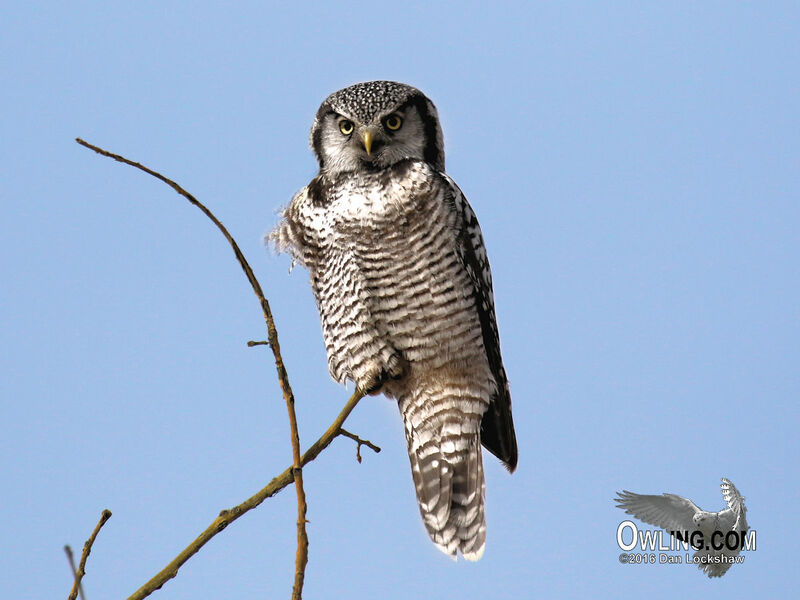 Other Common Names: Hawk Owl; American Hawk Owl; Hudsonian Hawk Owl; Canadian Owl. 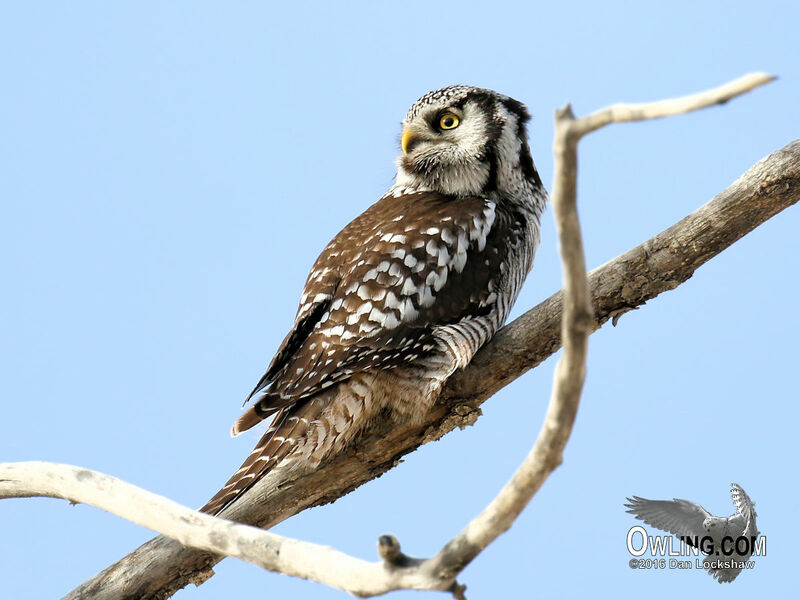 Subspecies: There is one race of Hawk Owl in North America and one race widespread across Northern Eurasia (S. u. ulula) that may be found as an accidental in Western Alaska although this race will not be discussed further. 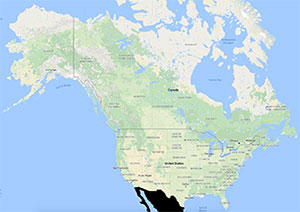 S. u. caparoch is distributed across Canada, Central and Eastern Alaska. 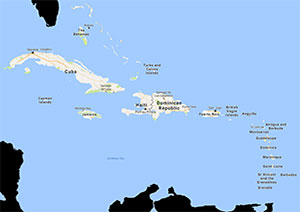 During winter months there is some southward movement in which it will usually cross into at least a few of the northern states of the U. S. (and several states during invasion years). Wingspan: 31 – 35 in. Length: 14.5 – 17.5 in. Tail: 6.25 – 7.5 in. Average Weight: Male: 10.7 oz. Average Weight: Female: 12.3 oz. Description: The Hawk Owl has more of a falcon shape to it than typical owl shape. This is a strictly diurnal owl, medium sized, tame, earless, and has habits that resemble some of the smaller hawks (hence its name). It has a long rounded tail, relatively pointed wings, and fast flight with bursts of wing beats and glides. The owl is rich dark brown on the backside with large white spots on the outer wings and scapulars and some thin white bars on the tail feathers, the crown thickly spotted. A black line starts at the middle top of each eye, curves up and around the sides of the grayish-white facial disk. There is white around the tops and sides of the bill and a white line extending up the eyebrows and bordering the black line to its highest point at the top if the facial disk. At this point the black line encircling the facial disk splits into a second line, on each side, that curves over the head down the back of the neck dividing the sides and back of the head into three areas. The sides are spotted almost to solid white. The chin is deep brown completing the facial disk. The underside (chest, flanks, and belly) has heavy, short brown, broken bars on a white base. The underside of the tail is also barred brown and white and the underside of the wings are like the rest of the underside (broken brown bars). The bill is light yellow and the iris is lemon yellow. Legs and feet are feathered. Young: The upper parts are deep brown with fewer white markings. Crown and nape mostly dull grayish-buff. Facial disk whitish with brownish-black border along the top and sides. The underside is whitish, the barring is less distinct, with the chest and flanks shaded brown. The Hawk Owl inhabits open forests usually with easy access to clearings. It may be found at the edge of a burn or open areas cleared by lumbering. When in mountainous areas it may move up as far as 6000 ft. in elevation. It avoids dense coniferous forests and prefers sparse woodlands including birch, aspen, and mixed woods with some preference for pines. Also favored are areas with broken topped stumps or bare tree branches available that might be used for lookout perches (telephone poles are often used). 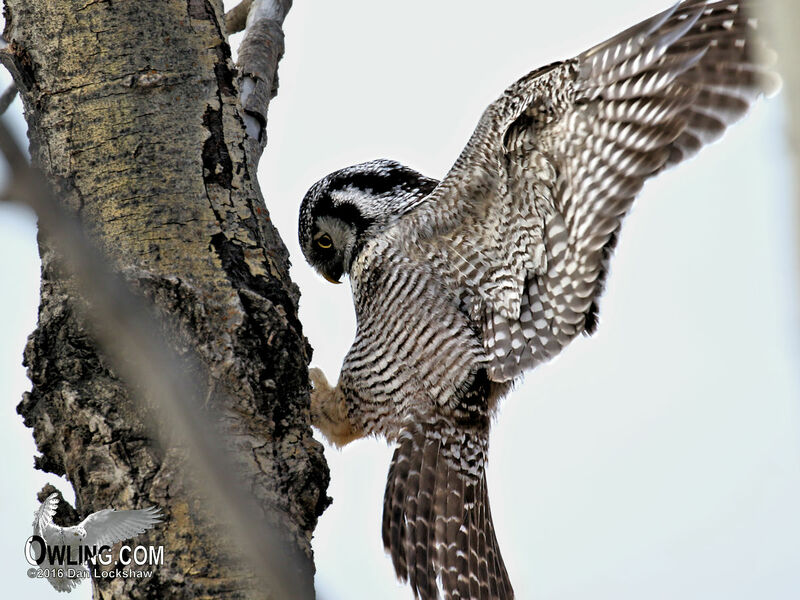 In the winter months the Hawk Owl may even move into open prairie or farmlands using haystacks as lookouts. The Hawk Owl’s diet seems to vary depending on the time of year. In the summer months the majority of their diet consists of small rodents and in particular voles are favored and may comprise as much as 90% of their diet. Other small mammals such as squirrels, mice, lemmings, and snowshoe hares are also taken. During winter months, when rodents may be more difficult to find, the major of their prey becomes avian. Birds may consist of as much as 90% of the food intake in the winter. Birds as large as Sharp-tailed, Willow, and Ruffed Grouse or mammals as large as a weasel may be taken. Nest sites for the Northern Hawk Owl are most often in enlarged Northern Flicker or Pileated Woodpecker holes, tops or hollows of tree stumps, and even occasionally in old nests of raptors or crows. North American egg date records are from April to late June. The Hawk Owl appears capable of being quite prolific with usual North American clutch sizes of 3 – 9 eggs and 8 – 13 possible in good vole years (clutches of 7 are common). In Canada, fledging success of 8 of 9 brood has been observed. Cannibalism is also known to occur, with the adults eating their own young. Incubation is 25 – 30 days. The young fledge at 25 – 35 days of age but have usually moved out of the nest by the time they are 3 weeks old. They remain near the nest for about 2 months but are not fully independent until they are about 3 months of age. Hawk Owls become sexually mature at one year of age. The Hawk Owl is quite dispersed, moves freely through the northern coniferous forests, is essentially nomadic, and quite irruptive depending on weather conditions and prey availability. 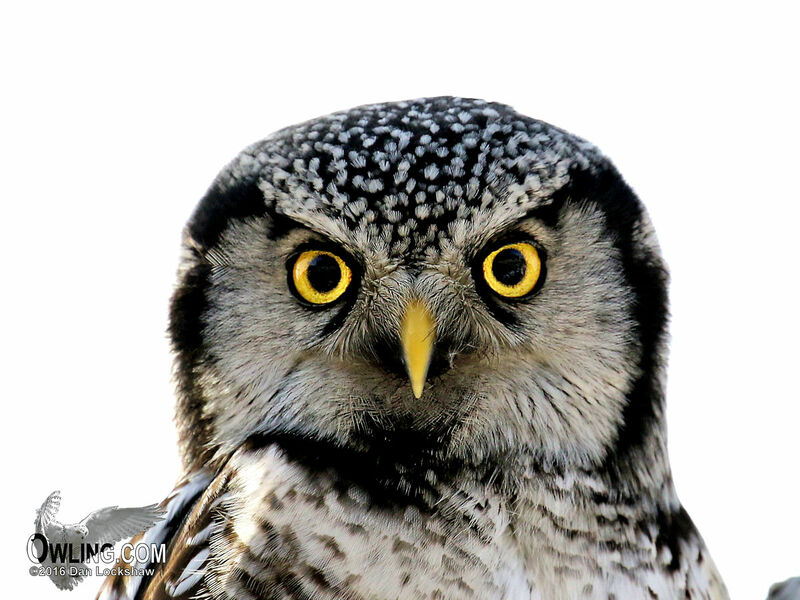 During years of normal rodent densities the Hawk Owl winters in the far north. When vole numbers crash, usually every 3 to 5 years, irruptions occur and many birds disperse southward. 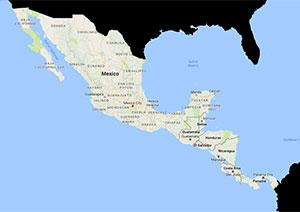 The majority of the birds involved in these southward irruptions, potentially 90%, are juveniles. Surprisingly though, normal seasonal movements are most pronounced in adult females.